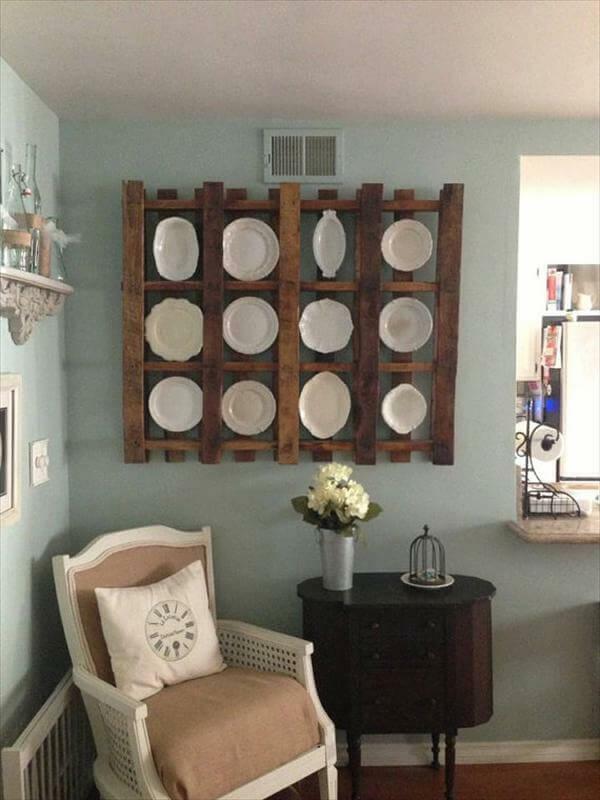 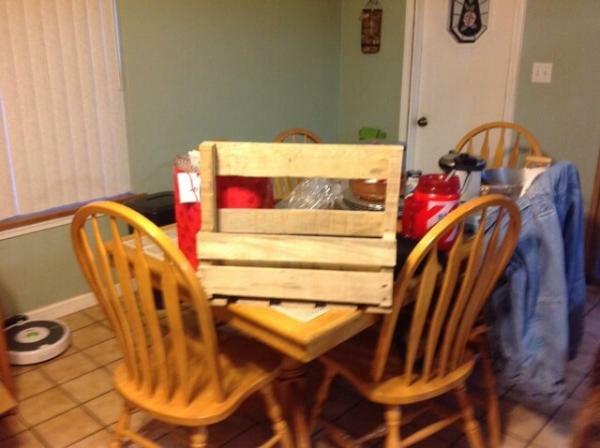 Each portion of your home can conveniently be organized with pallets. 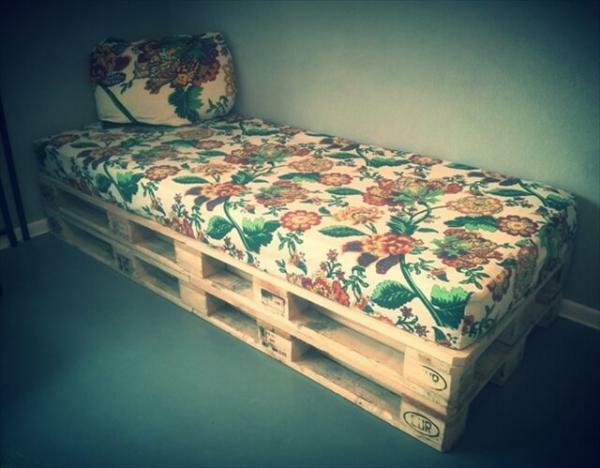 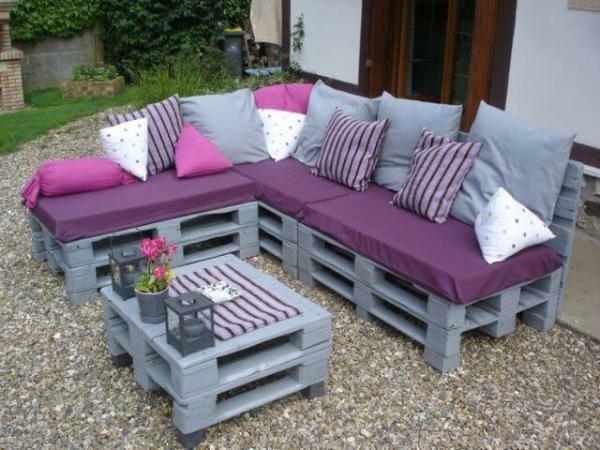 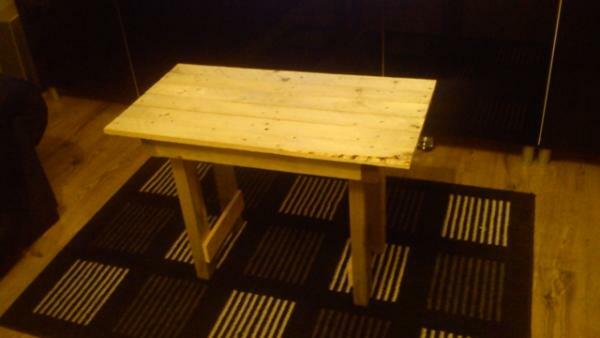 You can also dignify your primary home entrance and hallway using according design of tables or benches out of pallets. 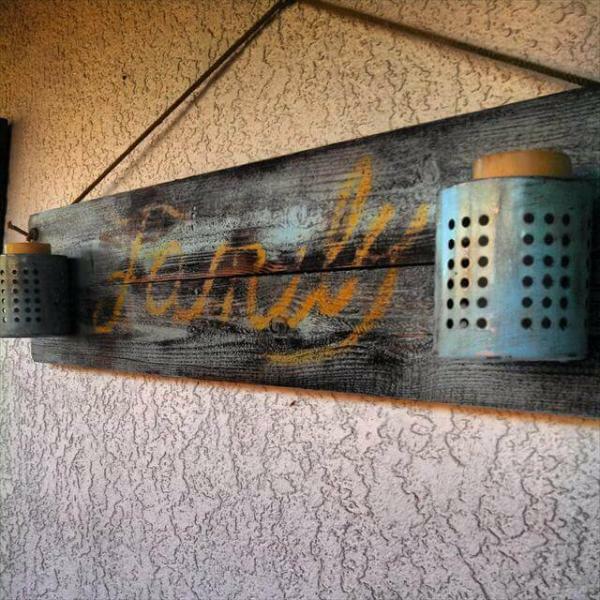 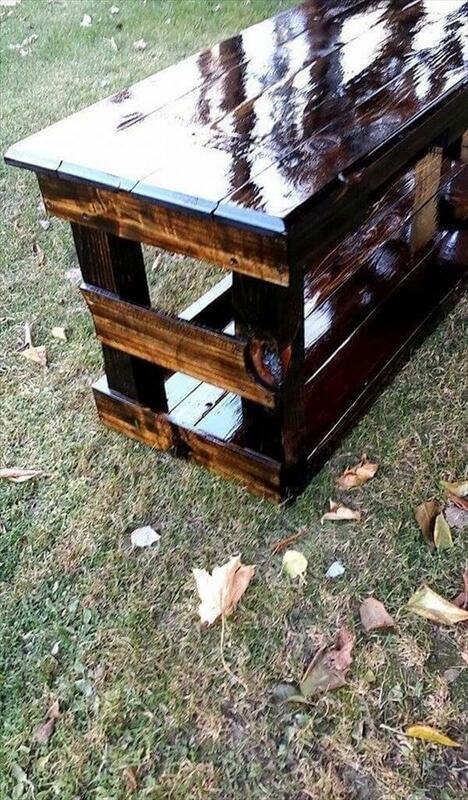 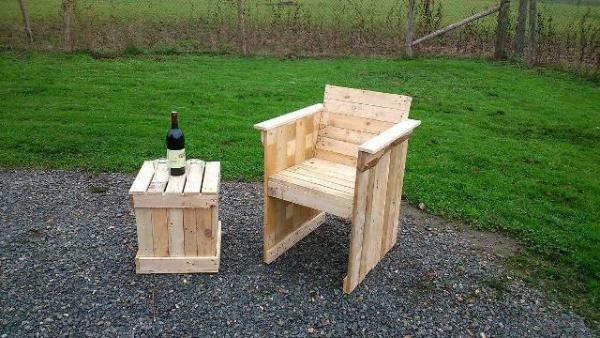 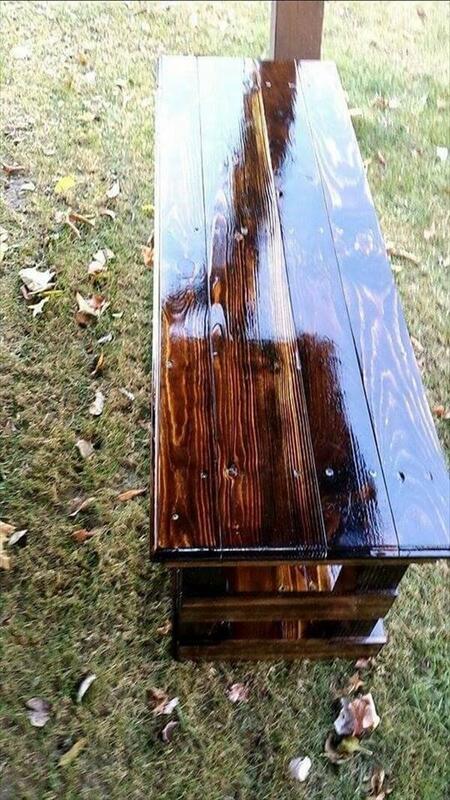 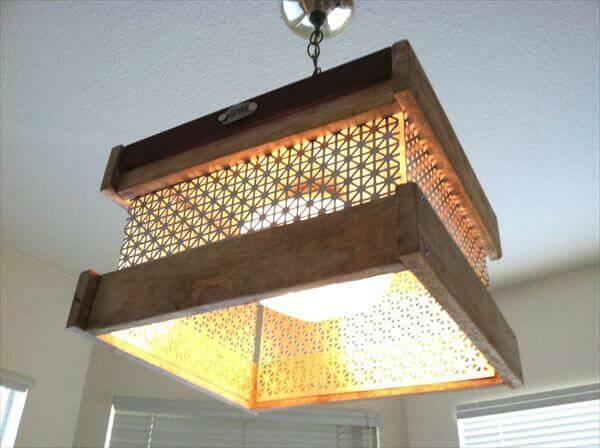 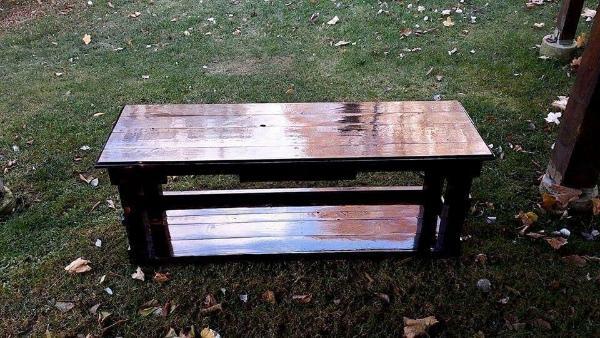 Yes, this is much possible, take a look on this DIY pallet entryway bench perfect scorched and stained for a mind blowing and aesthetic appeal. 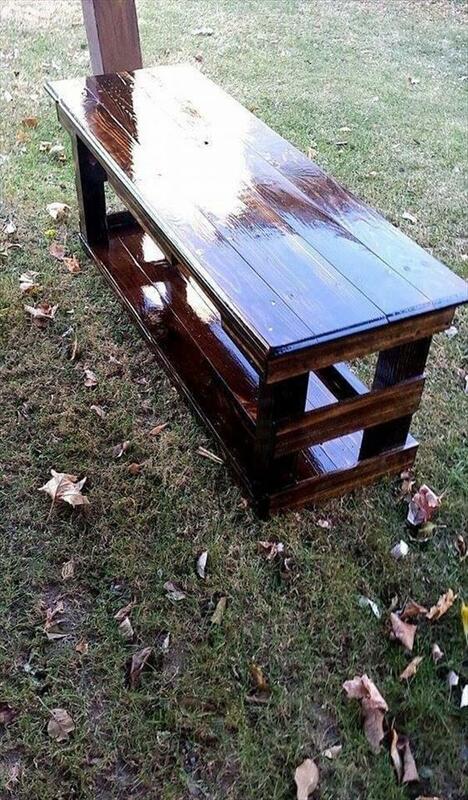 This table features a large rectangular top and stunning bottom. 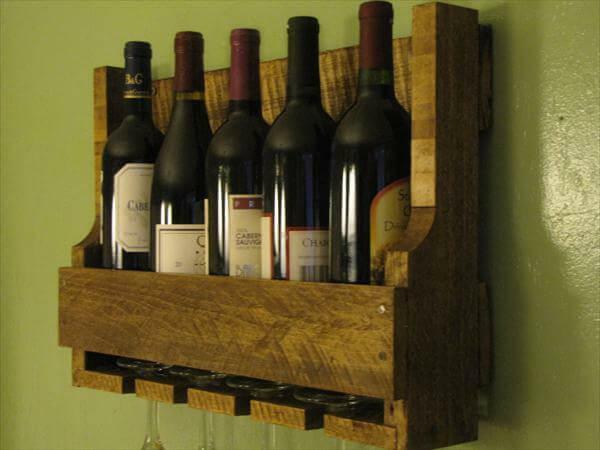 Bottom panel comes up with great storage space that can be filled with storage baskets or simply use it as DIY pallet shoe rack to store your daily usable shoes pairs. 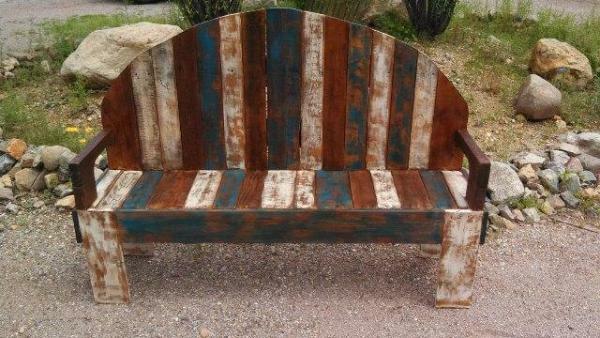 It is just perfect design for your mudroom can also be used in your park or garden area as a DIY pallet bench to fulfill the sitting demands there. 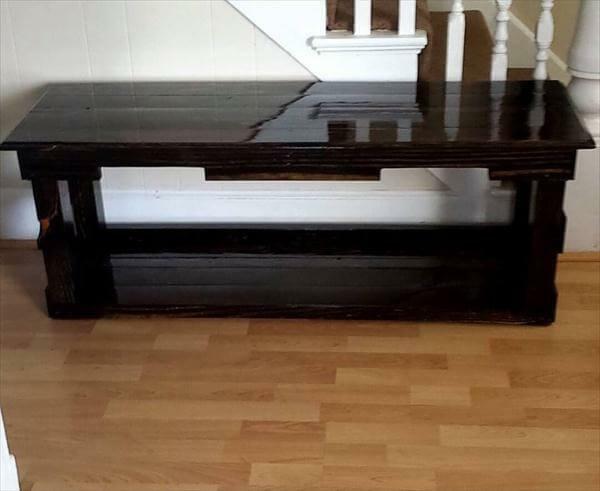 For nice vintage inspired sleek look the wood has been burned and scorched and then has been finished with dark walnut stain to make the wood grains stand out.